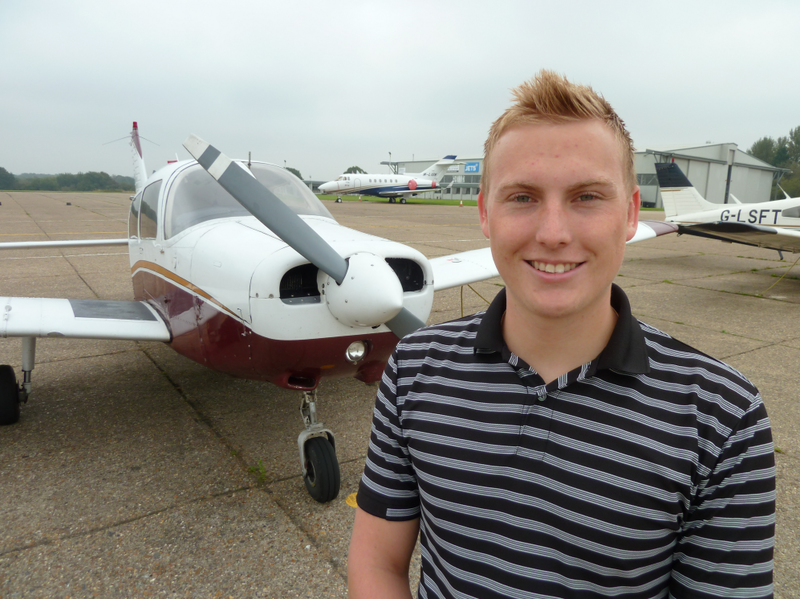 Two new Nick Davidson Memorial Flying Scholarships are being funded by the family of late British Airways captain, Nick Davidson, to enable two more young persons between the ages of 15 and 25 to learn to fly and qualify to the standard of a full Private Pilots Licence (PPL) at Biggin Hill Airport. Individual scholarship will be offered for 2017 and 2018 following interviews for all applicants before a selection panel. The new series is promoted and managed in association with London Biggin Hill Airport. The scheme now benefits from welcome new support by Shipping & Airlines, Adams Aviation Supply Company and the Bamrah family. Flying training will be allocated to instructors at the Surrey and Kent Flying Club. “As a family, we have been enormously impressed by the reaction to the scheme and by the achievements of the winners of the first two scholarships, John Harrison and Steven Inch (pictured). John is studying for his professional airline pilot’s licence and Steven is now under training to be a fighter pilot in the Royal Air Force,” she said. Applications for the 2017 scholarship are now open to young men and women between the age of 15 to 25 who aspire to a career as a professional pilot or in a key area of civil aviation. Applicants must be capable of passing a CAA Class One medical examination and to be available for interview at Biggin Hill Airport in September and October this year. For the winner, flying training will commence in the Spring of 2017. Applications for the Nick Davidson Memorial Flying Scholarship 2017 should include the applicant’s CV and a letter of application setting out why the applicant should be awarded the scholarship. The closing date for applications is 1800 on Friday 5th August. Applications should be e-mailed to ndmfs@bigginhillairport.com. Alternatively, applications can be mailed to Melanie Courtney, Terminal Building, Biggin Hill Airport, Bromley, TN16 3BH. Please mark the envelope ‘NDMFS’. The Selection process will be held in September and October.